Monosodium Glutamate 101: What Foods Naturally Contain MSG? Glutamate is an amino acid that is found in virtually every food. It’s a big part of protein-rich foods like meat, eggs and cheese, but is also found in fruits and vegetables. And, it is what’s responsible for giving foods the umami (savory) flavor that makes them taste delicious. Within food, glutamate is either attached to other amino acids in the form of a protein (bound) or by itself (free). The more free glutamate there is, the more umami flavor the food will have. There are a few variables that impact how much free glutamate is in a food. One is ripeness; the riper a fruit or vegetable is, the more free glutamate it will have. So, a deep red glossy tomato will have more free glutamate than a firm pale one. Another factor is the age of the food. Aging a food by curing or fermenting it increases the food’s free glutamate because over time the proteins break down to release the amino acids. For example, fresh pork has 10 mg of free glutamate, while cured ham has 337 mg. Free glutamate can also be added by seasoning a food with MSG (monosodium glutamate), an isolated purified form of glutamate. 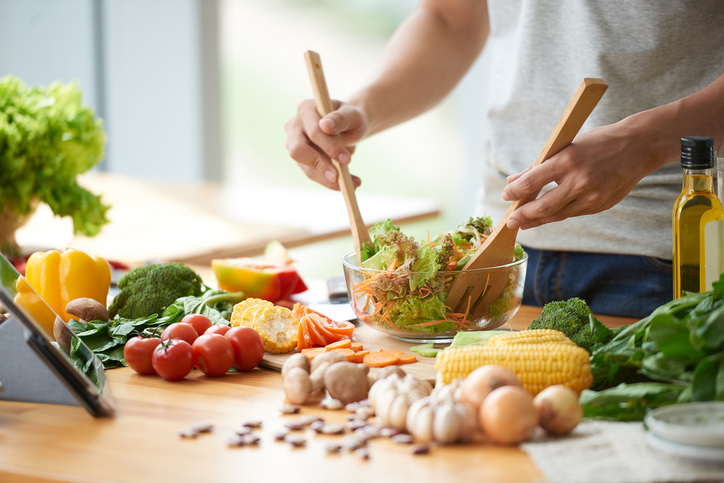 Foods that are typically thought of as high in free glutamate include meat, fish, seafood, fermented sauces, aged cheeses, and some fruits, vegetables, and nuts. Below is a brief non-comprehensive list of some of the foods that naturally contain free glutamate. Because only free glutamate enhances the savory flavor of food, the numbers below show the amount of free glutamate (but not the bound) in each food. For additional lists of the glutamate content of food, check out Foods Rich in Umami Taste and Glutamate in Food.